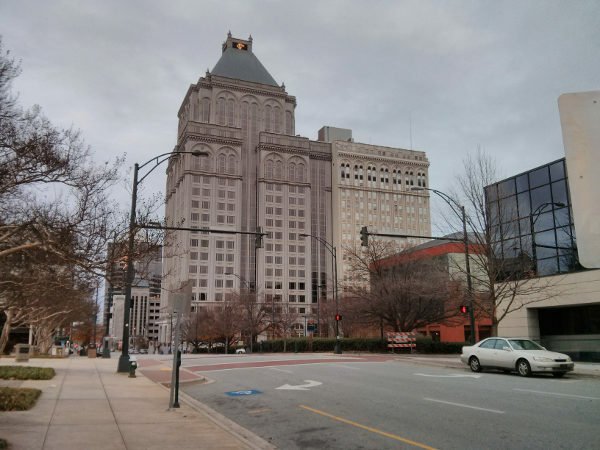 A soothing (to me) image of downtown Greensboro, NC (North Carolina), USA. This entry was posted in rambling and tagged greensboro, greensboronc, NC, north carolina. Bookmark the permalink. Could be downtown ‘anytown’. I’ve seen similar scenes in Fargo. Oh, yes. It sure is soothing. I would travel from Britain just to look at this. There is something dramatic about that building.